I agree with what JCS says, the future of low end and even into medium end work is with phones. You cannot deny computational power can overcome almost all of the issues behind phones as serious image making machines. Stabilization, DOF, wireless multi channel audio, it can all be overcome with exponential computing power. All of the things that make us use 25lb C300 MKII rigs will be laughable in just a few years. Maybe we should stop calling them phones? They're now really a micro-portable computer with a modem, a moving IoT node. For most people, the majority of use time isn't the phone. The built in optical sensors (aka cameras; iPhones have an IR TOF camera for 3D depth sensing) will get much better, and decoupled optical sensors could be interesting too (think USB cameras with PC/laptops). While integrated computational sensing can provide arbitrary DOF and lens simulations + any bokeh and pleasing (or unpleasing!) distortion you can imagine, it's still a few years away. Right now external advanced sensors can be used over USB3.x which would turn these mobile computers into much higher quality image capture devices, including using full frame (or any) lenses until good computational cameras are available. After capturing your FF super shallow DOF footage, you can edit and upload from the same device, anywhere there's wireless access. Mantis shrimp eyes are compound like a dragonfly, but they only have 10,000 ommatidia per eye. 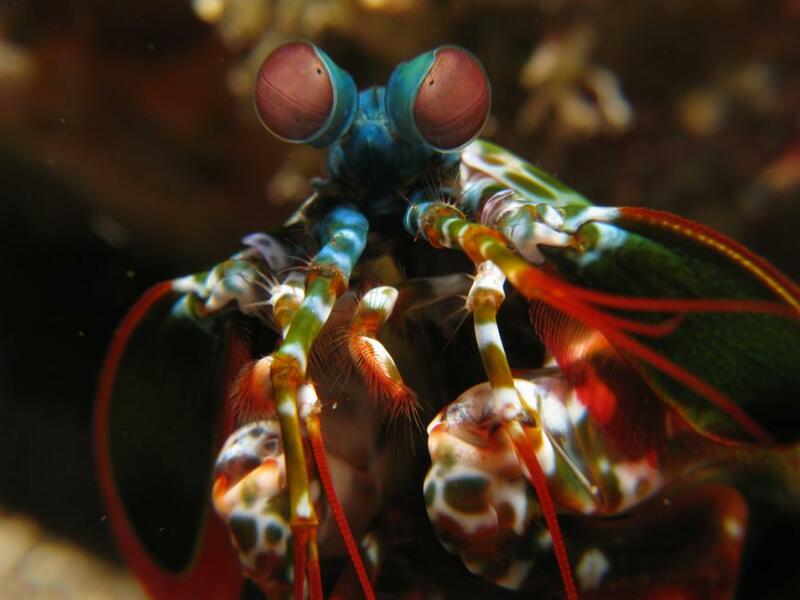 Still, mantis shrimp have the most complex eyes of any animal known on Earth — they have 12 color receptors (compared to humans only having three), as well as ultraviolet, infrared and polarized light vision. Each of the shrimp’s eyes are divided into three sections, allowing them to have trinocular vision and complete depth perception. Chips in the body are probably not what we want- ultimately that could result in remote control (of you), so perhaps best to opt out on that one haha. Collectively we should look carefully at AI too and what we automate- the primary concern is the concentration of power of the few vs. the many. For example, I would not recommend any AI driving car that isn't 100% open source that you can inspect yourself and verify that there are no remote control back doors (or verify by a collection of trusted third parties given the complexity). I am 100% out of AI driven vehicles. I have been consulting for some automotive firms that are really tuned into the research and have been looking at accidental deaths with Tesla's implementation. No thanks. At least not for a few decades. My own cars primitive version of radar detect lane departure and cruise, albeit basic, has scared the crap out of me a few times where it seriously felt if I didn't apply the brakes, the car would have easily skidded into the rear of cars stopped in freeway traffic in front of me. I definitely don't trust the deployment of the technology, I have a feeling a lot of people will die from it before its reliable enough to be counted upon. Yes, the excitement of self driving cars is already over. Now that the buzz has been out there, the news shows are now carrying footnotes that it won't be ready for another 10 years, which means it won't be ready for another 20 years. There's no way for it to work in bad weather and snow. So the panacea of self driving cars has come and gone just like 3D movies does every few decades. The thing I could never figure out is how all these sensors, blasting radar and whatever else they are using, didn't just jam each other's signal and turn the whole thing into one big mess. It is said that the Uber car uses 64 lasers. Imagine a dozen cars around you blasting lasers in every direction. I don't know what to make of that. Or Google's radar. How healthy will be be to have every car around you blasting radar signals at you? I was shooting at the New York International Auto Show last week. Electric autonomous vehicles are the future, whether you like it or not. China is driving the auto market today. I very much want autonomous cars. In my decrepit years, nothing will be more freeing than having a vehicle take me around when I can no longer do it myself. I was very excited about it. But the cracks are starting to show. They may be at the 95% complete stage. The question is, can they get it to the 99.9999% stage, which is where the airline industry is and where they need to get to.